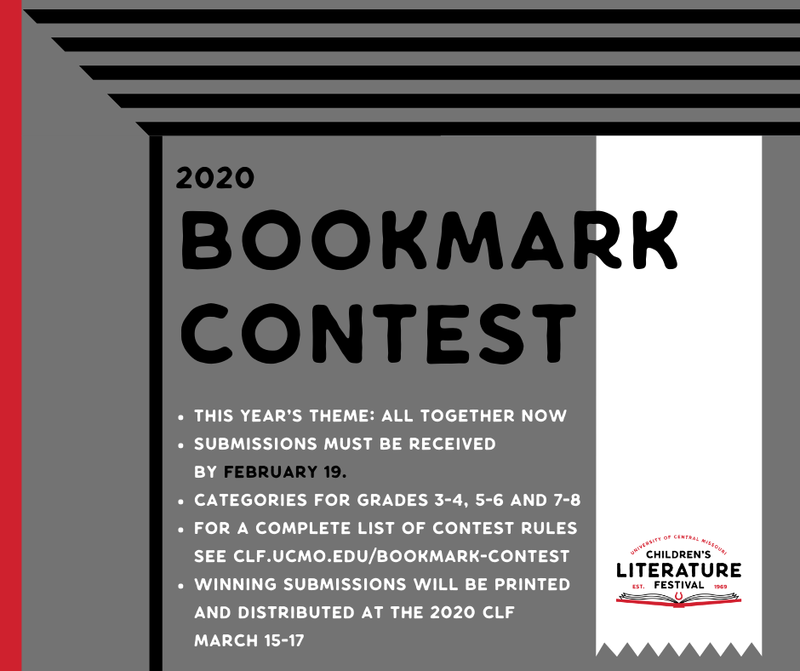 Calling all CLF student artists: the 2019 Bookmark Contest is underway! Use the below form to draw a colorful bookmark inspired by this year's theme: Books Feed Your Mind. We'll choose a winner from each of the four grade groups, and display the winners as well as ALL the entries during our 2019 Festival. Plus, the winners from each group will have their bookmarks professionally printed and distributed throughout during the Festival. Deadline is March 1st. Entries may be dropped off, mailed or submitted digitally. Digital submissions should be in JPG, PDF, or TIF and must be a high quality file of at least 300 ppi. Show off your amazing talent and love for books! Download the form linked right below here!